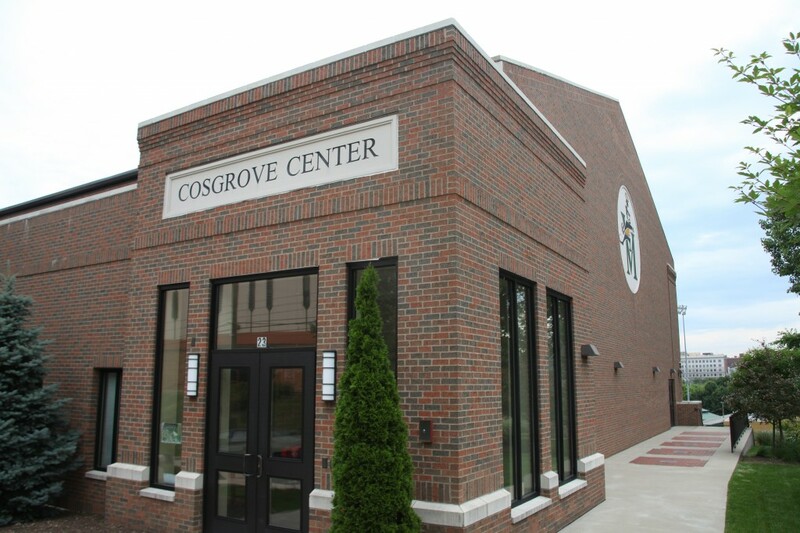 The Cosgrove Center was built in 2009 only by the generosity of hundreds of STVM proud donors and alumni. Inside this beautiful brick structure occupies an 84 foot gymnasium on the top floor, which creates an alternate practice facility for all sports. The bottom floor houses a state of the art fitness center, with complete cardio machines, free weights, and all main fitness equipment, and our Wrestling room, which provides a separate area for our wrestlers, accompanying 8 mats and full equipment. 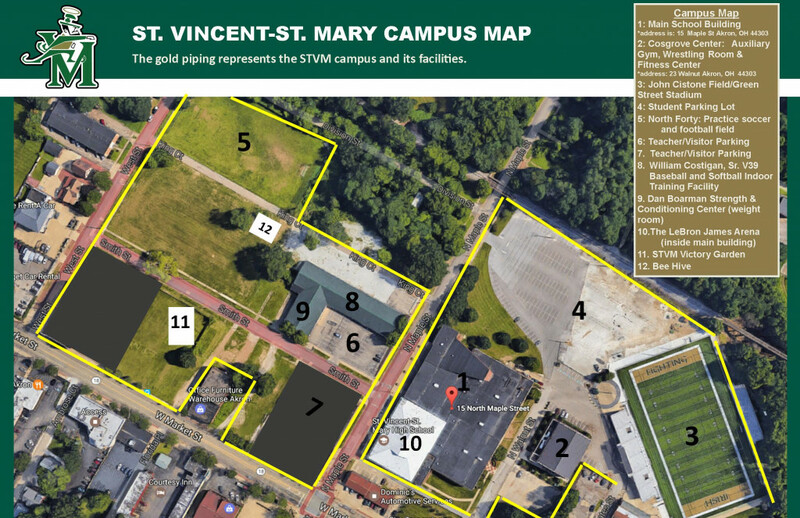 The Cosgrove Center is used primarily for STVM sports and special events, as well as a vehicle for CYO sports and events.